Music is a universal language, it creates ambiance; calm to a romantic evening or setting the mood while entertaining simply by enjoying your favorite albums in detailed and accurate stereo sound. Creative Systems can design a music system to meet the needs of the casual listener to even the most discerning audiophile. 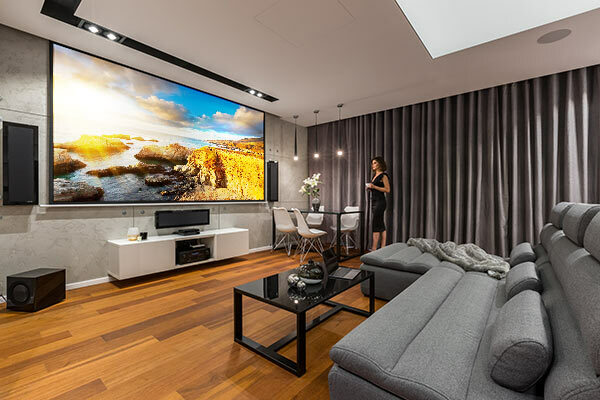 We pride ourselves on building systems that integrate easily into our clients' hectic lifestyles while blending invisibly into their homes and business environments. When watching a movie, 5.1 channel surround sound creates a 3-D environment where helicopters fly overhead and cars race behind and in front of you. At Creative Systems, we analyze room acoustics before recommending the perfect speaker for each application. Our palate of speaker choices ranges from hidden flush-mounted wall or ceiling speakers to the finest hand-crafted bookshelf and tower speaker models available.